We all think of Instagram as a photo editing application that we spend too much time messing around with to create good-looking, blurry images. However, a huge part of the what we enjoy about the app is the community that use it on a daily basis and share photos with one another. Some of these users have made efforts to take these strong communities offline into the real world too, which is supported and encouraged by the Instagram team. InstaMeets are a way for fans of the app to meet local Instagrammers in their area, taking the popular mobile app into the offline world allowing you to make real connections, chat about photography and discuss why you heart vintage filters so much. Visit meetup.com/instagram to find an InstaMeet near you. If there isn’t one, create or suggest a new event and remember you can start small, even if it’s just you and a friend more people are likely to see your details as InstaMeets become even more popular. The next InstaMeet in London is taking place on Saturday the 3rd of December at the Pixel This Phoneography Exhibiton. Check out InstaPics android version of Instagram! 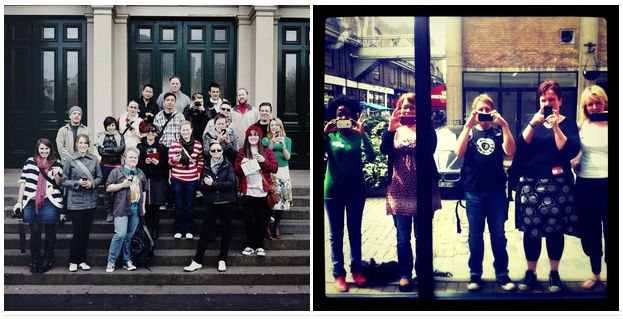 Instagrammers in cities all around the world will be meeting up in their hometowns for a Worldwide InstaMeet.